Under the theme ‘Connected Automated Driving: Europe takes the lead’, the 2nd European Conference on Connected Automated Driving, EUCAD 2019 took place on 2-3 April 2019. This high-level event brought together political leaders from the European Commission and Member States with high-level representatives of industry and road authorities and was a perfect occasion to discuss all the major challenges related to automated mobility. 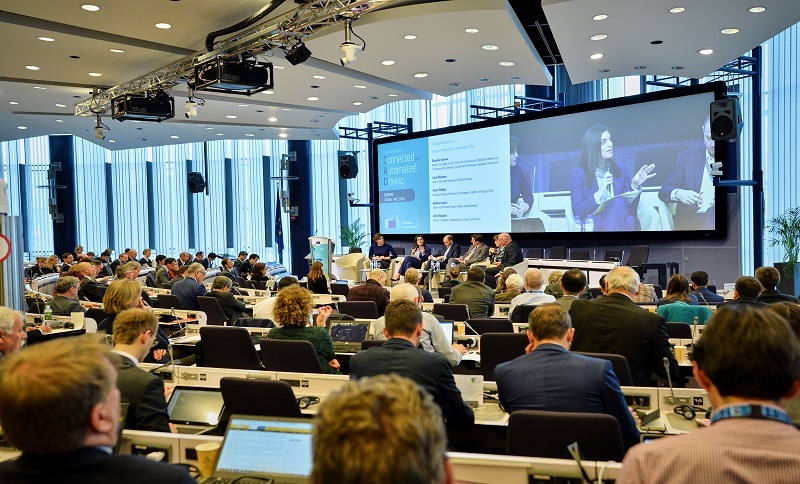 The Conference, which was organised by the European Commission with the support of the ARCADE action and that gathered hundreds of participants, saw two days of active debate and detailed discussions on CAD. We would like to thank all the participants that made it possible and we are eager to hear about your experience. Please find the anonymous survey here, we would be grateful if you could spend just five minutes filling in it. Your feedback will not only help us to better understand your needs but also to make improvements for the next edition of the Conference.